An unprecedented publication showcasing Gucci as never before, including thought-provoking essays, commentaries, and authoritative anecdotes along with previously unpublished contemporary and archival photographs. Published in conjunction with the opening of the new Gucci Museum in Florence, Gucci is the ultimate celebration of the world-renowned fashion house. Told through a loose grouping of words, concepts, shapes, and moods, the book tells its story through new conceptual forms and the free links between images, symbols, and objects. Conceived by fashion curator Maria Luisa Frisa and W magazine editor in chief Stefano Tonchi, this comprehensive volume showcases the genius of the fashion house through an exclusive lens with inside looks into the inspirations behind the design. 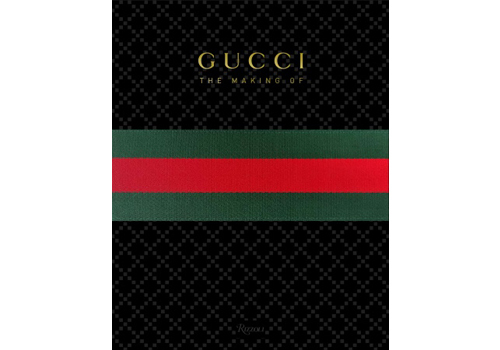 This gorgeous book designed by Arnell offers an in-depth look into Gucci’s origins, identity, influence, and innovation, including fabrication methods and appropriation of signature materials, past and present, and its influence among high society and Hollywood.